I have posted a few interviews for upcoming classes over the years and wanted to do one for the class this Sunday, June 28th. It happens to be me teaching the class, so I think this interview should go smoothly. When did you first learn about Hebes? It was when I started at Joy Creek Nursery in 2007. I was put in charge of arranging and restocking the shrub section. At the time we already had a large hebe inventory and they sucked me in more than any other shrub. There had been a series of mild winters and there were a number of beautiful established hebes in the garden. Frost accentuates the pattern of the leaves. Can you say why they intrigued you so much? Was it just their name? Hebe is a fun word to say, I can’t deny it. I think what drew me in was the textures of the foliage. The leaves have a geometric pattern that is not as apparent in most other plants. It is more something that you notice up close. Every single one has the same alternate opposite leaf pattern no matter how large or small the leaf. There is such a wide variety in looks and sizes throughout the genus that it is fascinating they are all related. Has your opinions about hebes changed over the years? After my first year at Joy Creek I really liked hebes, but we had a incredibly cold winter that year. Many of the hebes in the garden were killed. We then had two more hard winters after that. 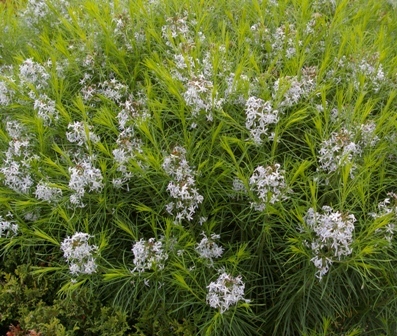 Many of the showy hebes at the nursery died and customers grew very weary of buying them. I still have a soft spot for all of them, but I have gotten much more careful about which ones I recommend. Many of them are going to die without protection. I have accepted that. How many Hebes do you currently grow at your house? I have 76 different forms and 103 total in my yard. How many hebes have you killed? So so many… It is all research right? 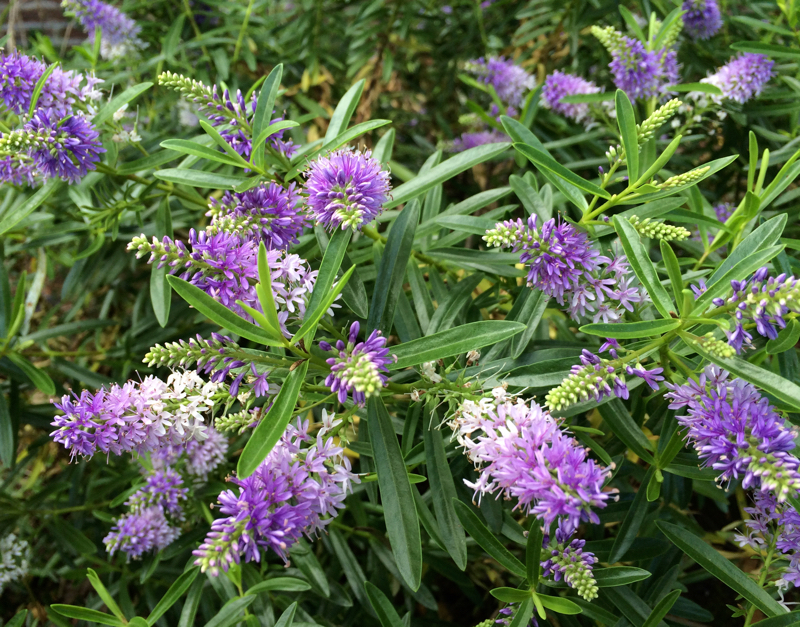 Two years ago Joy Creek introduced Hebe ‘Dragonfly’, your first introduction. How did that come about? I found the original group of 5 seedlings in a flat of euonymus at the nursery 5 years ago. I potted them up, after asking of course, and took them home to see what they would do. After a year in containers I planted each one out in the yard. I do not know the specific parentage of the seedlings but each one was quite different. After a year in the yard I took cuttings of my two favorite and we raised them at the nursery to see how they would look. Hebe seedling #2 ‘long leaf’ was deemed the most unique of the two and chosen for introduction. The leaves reminded me of a dragonfly and that is how it got its name. I have 3 more seedlings that we are trailing to see wether they are good enough to release. 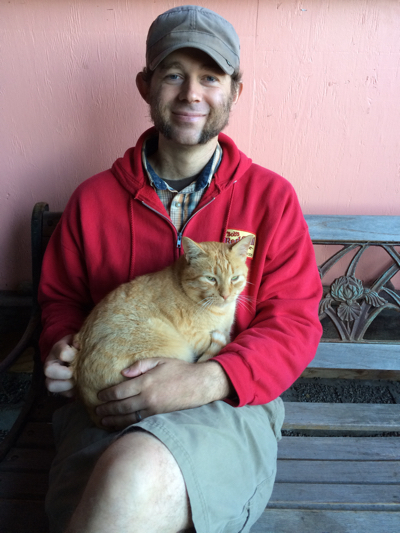 Thank you for taking time out of your busy afternoon of talking about plants and petting Yowler. It was my pleasure, and I still had plenty of time for petting a kitty. This entry was posted in Musings and tagged Hebe, Hebe Class, Hebe Dragonfly, Hebes, Joy Creek Hebe. Bookmark the permalink.